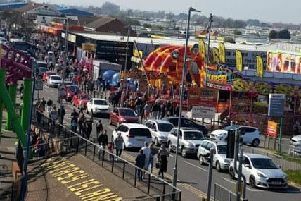 The sixth annual Skeg Mini Fest was held recently - attracting Mini enthusiasts from around the UK. The popular annual event, organised by Skegness Mini Owners Club, was held from July 17-19 at the Welcome Inn on Burgh Road. Skeg Mini Fest at the Welcome Inn in Skegness. Felicity Wilkinson, from the Inn, said there were a large number of entries and visitors this year.